My husband and I just returned from a trip to Disneyland. I hadn’t been since I was 7 years old! In fact, since our children had stopped mentioning the trip promised to them when they turned 5, I figured I could just skate through the rest of my life without another visit. However, my mother–bless her heart–didn’t feel we should deprive the children just because a crowded, heavily commercialized amusement park, in the heat and middle of summer wasn’t high on our bucket list. So my sister and niece flew over from the East Coast, we packed up the SUV and drove south. I have to give Walt a little credit… Yes, the park was crowded, hot and heavily commercialized, but it was also very clean, the people extremely friendly and helpful, and there was something for everyone. I saw the cleanest garbage cans ever, and was impressed by how there was always one within an arm’s reach. Despite the heat, the staff always gave a warm welcome, and voices were only raised if it was a question of safety. As for the food, since this is a blog about eating and living healthier–I don’t know whether it was Walt himself or a recent change in thinking by the current powers that be, but the restaurants inside the park offered “Disney approved” meals, which meant my kids received organic milk, fresh fruit and green vegetables with their meals. I was impressed. That said, most of the rest of the meals, and nearly all the food outside the official park was remarkably unhealthy. Because we were on vacation, and perhaps because I was “feeling (a little too much of ) the magic,” I allowed the kids to order some standard fare. And naturally, I was shocked by how basic, bland and unhealthy most of the options were. It reminded me that I’ve been wanting to share some of my easy tips for making everyday kids’ classics healthier–and tastier. They’re small things, minor substitutions, that can have a big impact on texture, taste and nutrition. Boost anti-inflammatory Omega 3s by adding 2 tbsp of ground golden flax to your egg mixture. 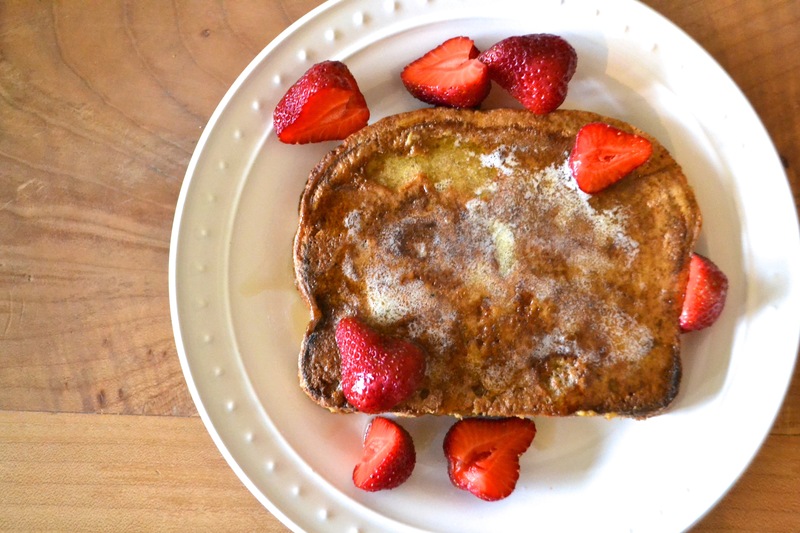 My recipe: 2 eggs, 1/2 cup organic cow’s or coconut milk, 2 tbsp flax meal, 1/2 tsp ground cinnamon, 1/2 tsp pure vanilla extract, 1 pinch of iodized sea salt and 2-3 slices of whole-grain bread (spelt preferred). 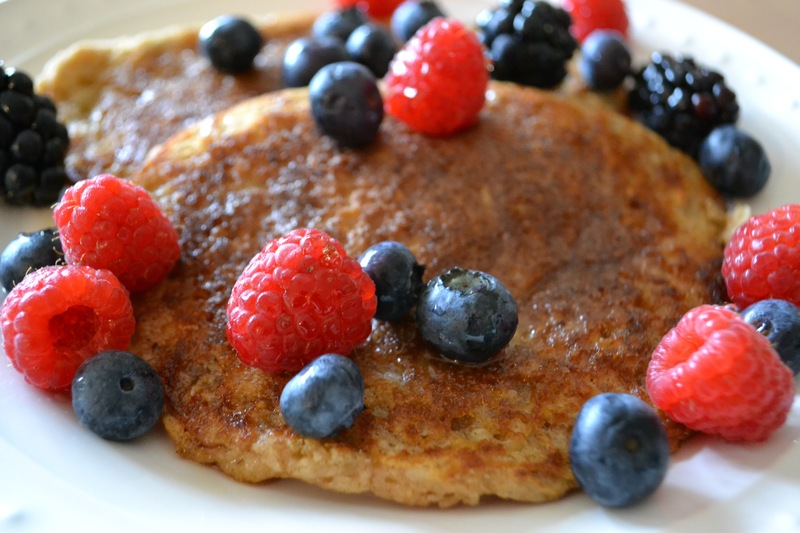 Add healthy fiber and protein by making oatmeal pancakes. Here’s my super fast and easy oatmeal pancake recipe or try my egg- and dairy-free Banana Coconut Oat Pancakes. Serve your pancakes with real maple syrup and fresh whole fruit, such as bananas or berries. 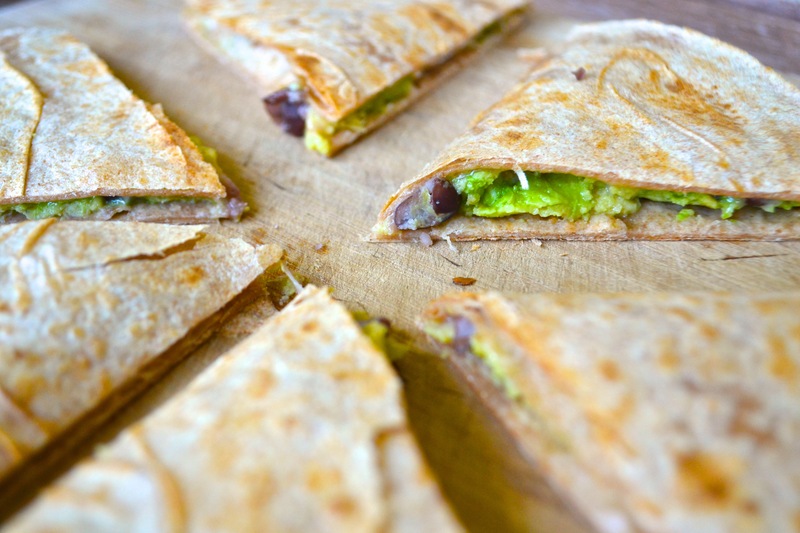 Use whole-grain spelt tortillas, organic cheese, fresh avocado and black beans (for added protein and fiber). Use regular or gluten-free whole-grain pasta, such as truRoots Ancient Grains Pasta made from quinoa, amaranth and brown rice, and blend cooked mushrooms, carrots or zucchini into the pasta sauce for added nutrition. My kids love pasta with Secret Vegetable Pasta Sauce even thought they’re old enough to know all the vegetables I’ve “hidden” inside. Boost Vitamin A, Vitamin C and B6 levels by making your own “fries,” using sweet potatoes instead of regular potatoes, and oven-roasting instead of deep-frying your fries. Recipe here. Lastly, you can significantly increase nutrition and decrease insulin spikes by substituting whole grain flours for all-purpose white flours, reducing added sugar and increasing fiber content. I would also suggest using organic ingredients where it matters most (see the Environmental Working Group’s Dirty Dozen).